1. Special Note for Parents and Legal Guardians. It is ASIFA-Hollywood’s intention to adhere to the requirements of the Children’s’ Online Privacy Protection Act of 1998 (“COPPA”) and the Children’s’ Advertising Review Unit (“CARU”) guidelines in its website. Children are not the primary focus of ASIFA-Hollywood, but since ASIFA-Hollywood deals with animation, we are aware that children may visit our website, and therefore we choose to adhere to the COPPA and CARU programs. 2. Does ASIFA-Hollywood Collect Any Personally Identifiable Information? Except when you join ASIFA-Hollywood, or when, as a professional member, you are applying for voting certification for the ANNIES™ in a particular category, we do not collect member’s personally identifiable information. 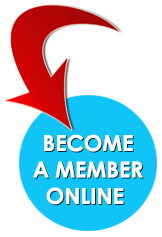 In connection with membership, the information collected includes names, and addresses and telephone numbers. This data is shared with the studios and production companies solely for the purpose of enabling the studios and production companies to send DVD’s for screening to our members for the studios and/or production companies’ shows. When a member applies to be a voter in an ANNIE™ category, the information submitted will generally involve the member’s professional experience, credits and other data submitted in the discretion of the applying member in support of the applicant’s expertise. Such information is shared only with the ASIFA-Hollywood Board of Directors. Otherwise ASIFA-Hollywood does not collect personal identifiable information. Agents and contractors of ASIFA-Hollywood who have access to personally identifiable information are required to protect this information in a manner that is consistent with this privacy notice, by, for example, not using the information for any purpose other than a purpose approved in this notice. Credit card transactions are not handled by ASIFA-Hollywood. ASIFA-Hollywood refers them to Paypal, and we do not have access to the credit card information received by Paypal. 3. What Do We Do With the Information? Our primary use of the information that we do collect is to fulfill your request(s) for information. We also use the information that we collect to communicate with you. We sometimes use the non-personally identifiable information that we collect to improve the design and content of our site. We may also use this information in the aggregate to analyze site usage. We will disclose information when required to do so by law, for example, in response to a court order or a subpoena. We also may disclose such information in response to a law enforcement agency’s request. Cookies are text files we place in your computer’s browser to store your data. Cookies, by themselves, do not tell us your email address or other personally identifiable information unless you chose to provide this information to us by, for example, joining ASIFA-Hollywood. We use only session I.D. cookies. We use these session I.D. cookies for log-in information only, and they expire after each session. 5. Our Commitment to Security. We have put in place appropriate physical, electronic and managerial procedures to safeguard and help prevent unauthorized access, maintain data security and correctly use the information we collect on line. Although we take appropriate measures to safeguard against unauthorized disclosures of information, we cannot assure you that such disclosures of personally identifiable information will never be disseminated in a manner that is inconsistent with this Privacy Notice. ASIFA-Hollywood members may opt-out and delete all their information, by sending an opt out request to https://www.asifa-hollywood.org/about-us/privacy-policy/. Upon this request ASIFA will follow through and remove all information from our membership rolls and contact lists. However, canceling further communication will, for all intents and purposes, result on the membership lapsing. To initiate opting out, please use the contact information, below.